Last night we attended the gala dinner for the Kent Invicta Chamber of Commerce Business Awards 2014. We were shortlisted for three categories once again: Excellence in Customer Service, Entrepreneur of the Year and Business of the Year. 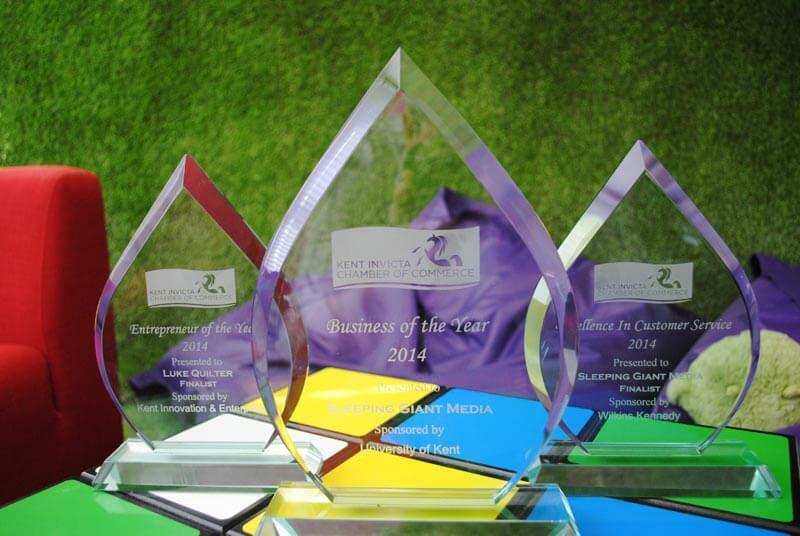 And we’re proud to announce that we won Business of the Year 2014! 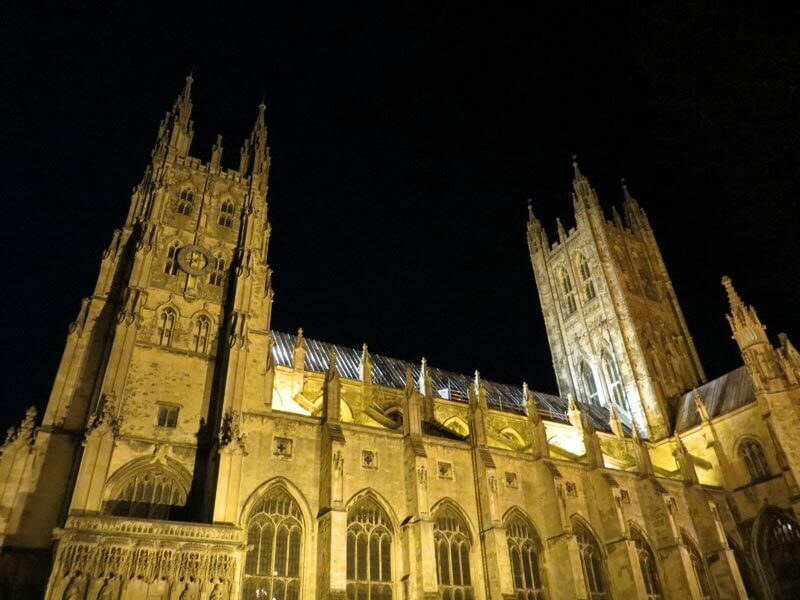 The lovely event was held at the Canterbury Cathedral Lodge, in the shadows of the glorious cathedral. The Lodge is a beautiful wooden building and the staff are all very professional and friendly. The awards were presented between courses of a delicious dinner. As always there was a buzzing and friendly atmosphere in the room as everyone was gathered to celebrate business excellence. Entrepreneur of the Year – Gierde Brandao of AbBaltis Ltd.
Congratulations to all the winners and finalists. Once again, there were a record number of entrants so being shortlisted is a great achievement. All finalists go home with some glassware to proudly display. 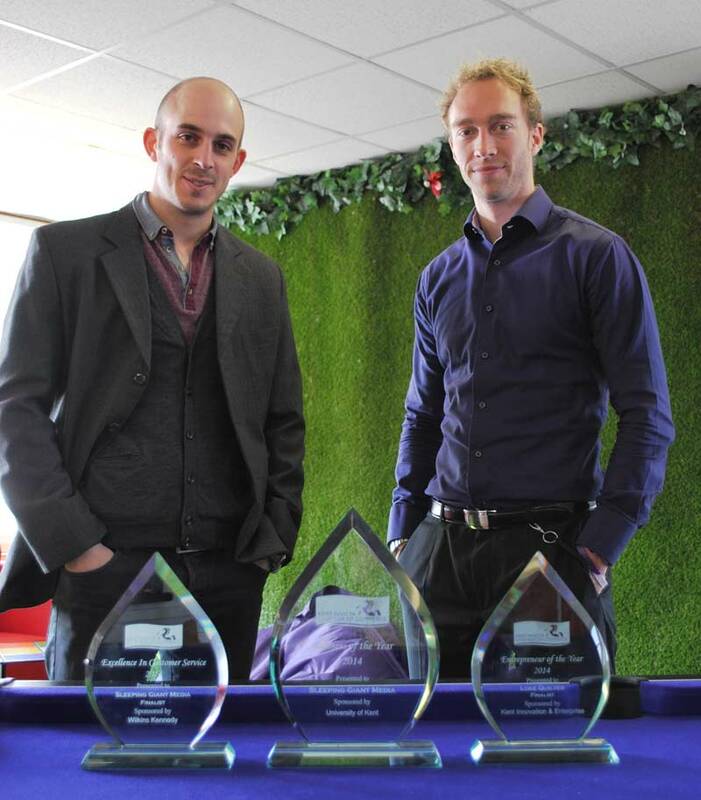 We’re lucky to have another three trophies to display in our fish tank awards cabinet! Our MD, Luke Quilter, said “Winning this award is a fantastic achievement and a great reward for the team at Sleeping Giant Media. Ant and I are very proud of the team and it is their hard work and dedication that has resulted in this amazing award”. The night ended with entertainment from the giggle-worthy Men in Coats. This parka-clad, comedy duo bring back the art of silent comedy. They are well-known on the comedy circuit and have appeared numerous times at the Edinburgh Festival and on the Royal Variety Show. It was a brilliant night. Thank you to Jo James and everyone at the Kent Invicta Chamber for organising a super event. 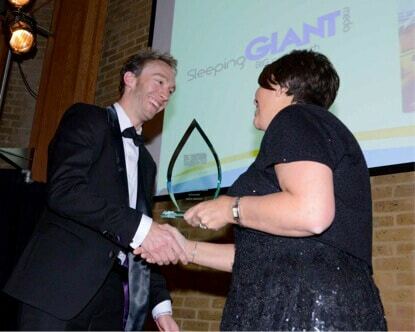 @SleepingGiantM @InvictaChamber WOW well done guys! !